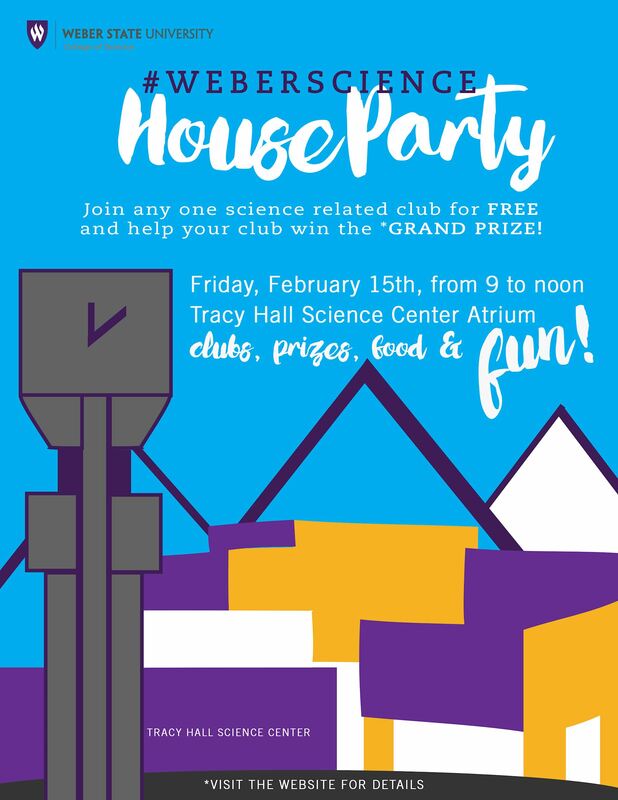 The College of Science House Party showcases our student clubs and organizations. Come have fun and make connections! Every student can have one club/organization membership fee paid for them by attending! Clubs compete for cash prizes and lunch with our Dean! 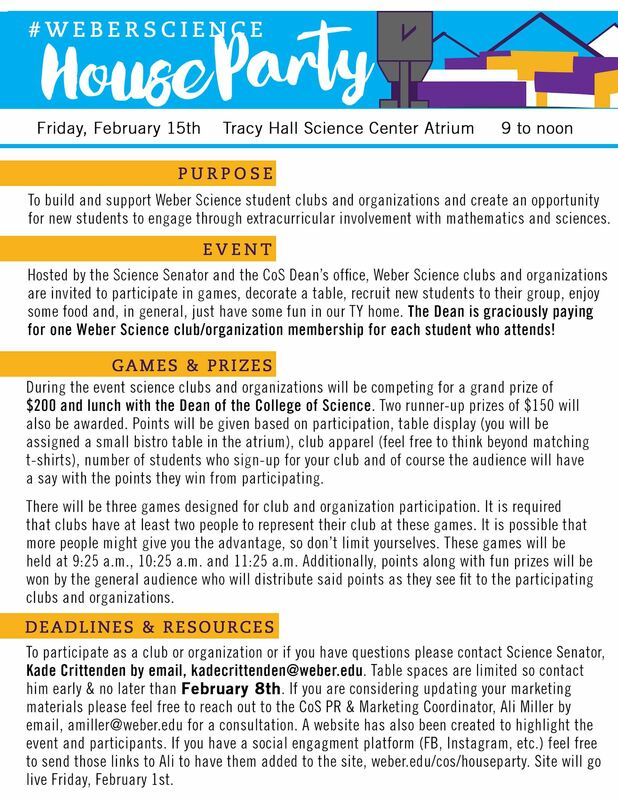 Contact Science Senator by February 8th for table space.